Alaa Abu Ramadan is a 26-year-old national UN Volunteer in Gaza, State of Palestine. She has been working with the UN Office for the Coordination of Humanitarian Affairs since May 2017, helping in preparing reports on the humanitarian situation in the Gaza Strip and verifying data on incidents affecting civilians. 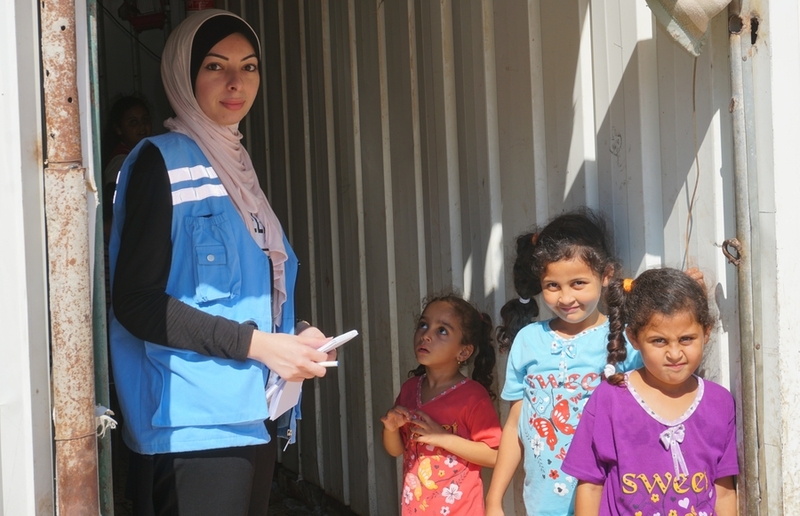 UN Volunteer Alaa Abu Ramadan serves with the UN Office for the Coordination of Humanitarian Affairs in the Gaza Strip. "I was born in Gaza and I have always lived in the Strip," Alaa explains. "I was aware of the situation that civilians are facing here, as I have experienced it in my daily life. But through my volunteering experience with OCHA, I became acquainted with a large amount of data, statistics, and reports that have deepened my knowledge of the problems affecting the Strip: from unemployment to the shortage of electricity, water, drugs, and so on." Recently Alaa has helped in developing case studies that supported several humanitarian reports focusing on the 22,000 people still displaced since 2014 hostilities, on casualties during demonstrations at and along the Gaza-Israel perimeter fence on the deteriorating education system in Gaza. Accuracy is essential to ensure the credibility of UNOCHA reports, so Alaa works hard with her colleagues and others to double and triple check data related to the protection of civilians. She is aware of the responsibility of her role and the opportunity she has to give voice to Gaza’s unheard civilians. At twenty-six years of age, Alaa has only been able to leave the Gaza Strip four times, due to movement restrictions. "I went two times to Egypt for vacation. The last time was ten years ago, when travelling was easier than now. In 2016, I was allowed to travel to the West Bank for three days only," she recalls. "Even though it was for a very short period, I was extremely happy to leave Gaza. Only when I passed the last gate at Erez, the crossing into Israel, could I believe I made it out. In the West Bank, everything looked different, even the air felt different, as if I was in an entirely different world." "Becoming a volunteer taught me that humanitarian work is rewarding, but it can also be frustrating. You experience frustration when - because of the situation - you are unable to quickly make a difference for the people you are trying to help. But volunteering also taught me to be resilient, like the amazing people that I am meeting every day in Gaza." This article was drafted with the kind contribution of UN Online Volunteer Erin O'Neill. Follow the UNV programme in the Arab States through Facebook and Twitter.